In Meta-Magick: The Book of Atem, Philip H. Farber combines traditional ritual sensibilities with contemporary concepts of neurolinguistics and memetics to create a unique entity - Atem. In this instance, the essence of an entity is encoded in a book and activated by the reader. At the same time, the book is a comprehensive manual of evocation, containing dozens of easy-to-follow rituals and exercises for exploring and creating magical entities of every sort. Farber teaches readers to wake up from their habitual trance, to reprogram themselves to stand in the Mystery without unnecessary mystification. This supercharged fusion of tried-and-true magical and psychological techniques moves beyond trauma, healing, and recovery into self-fulfillment and self-transformation. 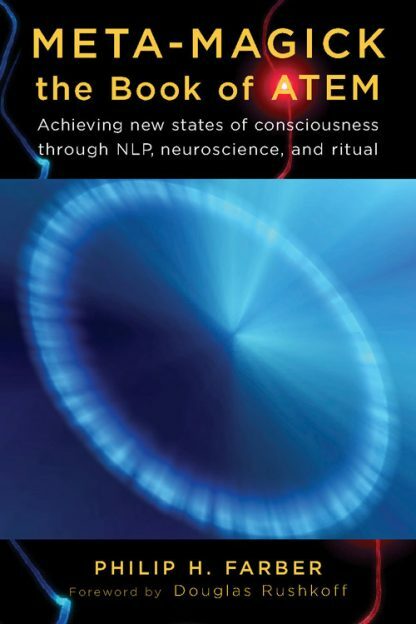 Combining both disciplines with methods such as intentionality, autohypnosis, visualization, personification, and experiential journeys, Farber creates a powerful system that opens the way to peak experiences, self-knowledge, even cosmic consciousness. Rather than importing standardized healing images, readers learn to create their own emergent metaphors, their own creative strengths and flexible freedom. Atem is a living Magus, an icon for the twenty-first century. Part transpersonal shaman, part inner guide, part inner healer, part role model, Atem becomes a personal therapist, a guide to self-discovery and self-initiation. Atem, as healing fiction, helps readers to create their own breakthroughs, their own catharsis - emotional clearing that frees energy from internal conflict to flow creatively into new expressions. Philip H. Farber is the author of FutureRitual: Magick for the 21st Century, a manual of neurological exploration and he has produced several DVD packages on magical topics, including Magick for the 21st Century, Essential MetaMagick, and How to be a Megalomaniac. He is also an instructor for Maybe Logic Academy, www.maybelogic.org, and a certified hypnotist and a licensed trainer of neurolinguistic programming, with a private practice in New York's MidHudson Valley.